This expertly handcrafted Amish Bow Arm Panel Glider is the perfect way to lounge around the living room! Sink right into the deep cushions and let the strong and sturdy frame glide you to your happy place. 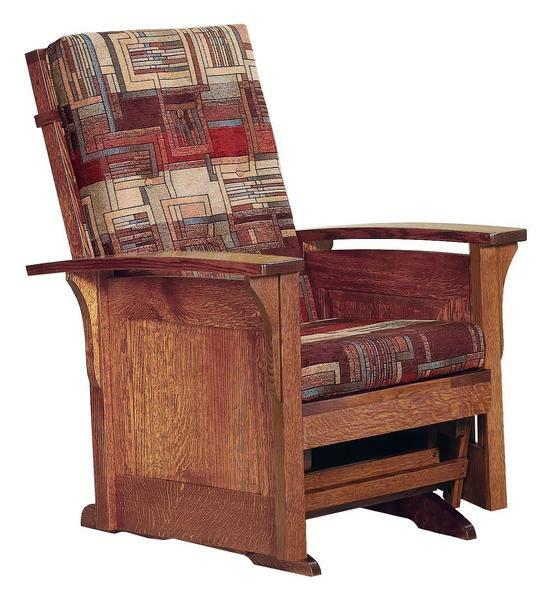 This masterpiece is crafted by Amish woodworkers, which means that it is heirloom quality that will last for generations to come. Don't just settle for the glider, get the ottoman to put your feet up and fully relax! The Bow Arm Panel Ottoman is the perfect solution to complete the set. All of the standard options are available online, but if you're looking to customize this glider further don't hesistate to give us a call at 1-866-272-6773.